Today’s digital devices are highly sensitive to variations in power quality As electricity loads become more variable and intermittent sources become a larger portion of the energy supply, the power grid will need to become more flexible and more efficient. Dynamic voltage and volt-ampere reactive (VAR) control architectures (DVCAs) are increasingly essential to achieving cost-effective performance expectations. 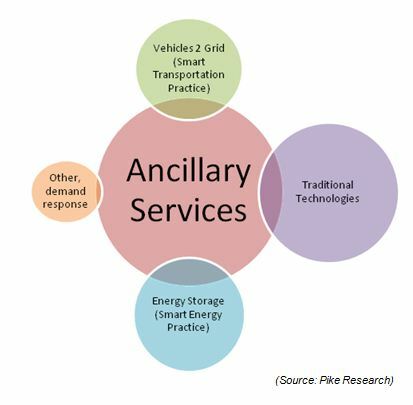 Today, with rising penetration of distributed generation (DG) and increasing attention focused on energy efficiency, demand response (DR), and renewable energy integration, the task of managing the distribution network, including voltage and volt-ampere reactive power (VAR) levels, is becoming increasingly complex. Improving the efficiency of power transmission and distribution comes down to two choices: you can reduce the resistance of the wires by making them larger or using better materials (not a practical solution), or you can improve the effectiveness of the flow of electricity. To address the latter, it’s important to understand the difference between real and reactive power. Real power is what we use to run our lights, computers and production lines. It’s the power the “does the work.” Reactive power does not contribute anything to doing work, but it does cause conductors to heat up and it takes up a certain amount of “space” in the wires. The more reactive power flowing on a line, the less “room” there is for real power, and the less efficient the transmission and/or distribution system will be. So, to optimize the movement of electric energy, we would ideally like to eliminate reactive power flows, or at least minimize them. Utilities do this today on their local distribution systems using devices such as capacitor banks or special transformers, typically located at substations or on feeder. These devices work to keep reactive power flows down, making the full capacity of the conductor available for the real power that will be used by our lights, TVs and refrigerators. This process is known as volt/VAr control. Historically, volt/VAr control devices have operated autonomously, independent of one another and without centralized coordination. This approach worked, but it left a good deal of efficiency on the table since actions taken by one device might have less-than-optimal results for another location on the grid or for the system as a whole. The current electric grid was designed to serve analog devices such as lights, motors and pumps, which work just fine despite varying electric loads. However, today’s personal computers and other smart digital devices with microprocessors inside are highly sensitive to variations in power quality due to voltage surges and sags and harmonic changes in the alternating electron flow. Almost all higher efficiency appliances, heating, ventilation, and cooling (HVAC) systems, consumer electronics, lighting, and other load devices are changing from being “resistive” (e.g., incandescent light bulbs) or “rotating” (as in motors) to “inverter based.” The transition of load from “resistive” to “inverter based” means that the overall system performance, especially with respect to power factor and reactive power needs, changes dramatically over time. Smart Grid technologies offer utilities increased monitoring of rapid power changes and help them adapt control schemes and deploy capacitors and other power-factor control devices—including power electronics-based devices in substations—to compensate. In the 1980s, electrical load from sensitive electronic equipment (e.g. computer chips) and automated manufacturing was limited. In the 1990s, electronic share grew to roughly 10%. Today, load from electronic technologies and automated manufacturing has risen to 40%, and the load is expected to increase to more than 60% by 2015. 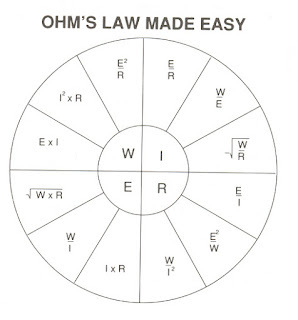 In power distribution, significant effort is made to control the reactive power flow. This is typically done automatically by switching inductors or capacitor banks in and out and by adjusting generator excitation. Electricity retailers may use electricity meters which measure reactive power to financially penalize customers with low power factor loads. This is particularly relevant to customers operating highly inductive loads such as motors at water pumping stations. AC Power – Produced by an Alternator (commonly referred to as a generator) that functions by rotating an energized magnetic field adjacent to a coil of wire. The energized field has a flux around it. When the magnetic field cuts across the coil of wire, electrons are induced to flow and AC electricity is produced. (Therefore the name, Induction Generator) Since AC power has a varying voltage, efficient power systems must therefore vary the current in synchrony with the voltage. System operators can adjust the output of “real” and “reactive” power at short notice to meet changing conditions. The height of the plot (Y Axis) represents the voltage being produced. The peak of the plot does NOT measure the voltage output. Because the voltage varies through the entire cycle, and even goes negative for 1/2 the cycle, output voltage is actually a calculation of the RMS of the Phase Angle. The procedure consists of squaring all the positive and negative points on a waveform graph, averaging those squared values, then taking the square root of that average to obtain the final answer. A shorter equation is to take the sine of the voltage at 45 degrees. Sine 45 = 0.7071. Therefore, the RMS voltage is about 70% of the peak voltage plot. Apparent Power - The product of the current and voltage of the circuit. Due to energy stored in the load and returned to the source, or due to a non-linear load that distorts the wave shape of the current drawn from the source, the apparent power can be greater than the real power. Capacitor Banks- Capacitors are considered to generate reactive power. This is the fundamental mechanism for controlling the power factor in electric power transmission; capacitors are inserted in a circuit to partially cancel reactive power of the load. An automatic power factor correction unit is used to improve power factor. A power factor correction unit usually consists of a number of capacitors that are switched by means of contactors. These contactors are controlled by a regulator that measures power factor in an electrical network. To be able to measure power factor, the regulator uses a current transformer to measure the current in one phase. Depending on the load and power factor of the network, the power factor controller will switch the necessary blocks of capacitors in steps to make sure the power factor stays above a selected value (usually demanded by the energy supplier), say 0.9. Capacitance - The ability of a body to hold an electrical charge. CVR - Conservation Voltag Reduction - By dynamically optimizing voltage levels using sophisticated smart grid technologies, CVR can continuously reduce energy consumption and demand during peak periods, when electricity prices are inflated and demand may exceed the available supply. Recent CVR pilot projects have delivered excellent results, and the technology is likely to become one of the most popular energy efficiency and demand response measures among North American utilities before the end of 2020. According to a new report from Navigant Research, revenue from CVR components in North America will grow from $8.4 million in 2013 to $776 million by 2022. FIDVR - Fault-Induced Delayed Voltage Recovery - Air conditioner (A/C) motor stalling is considered as one of the main reasons for the occurrence of delayed voltage recovery events leading to voltage collapse. In recent years, the phenomenon has increasingly been observed. FIDVR is caused by highly concentrated induction motor loads with constant torque which stall in response to low voltages associated with system faults. This results in an excessive draw of reactive power from the grid. FIDVR events become increasingly probable with the increased penetration of low-inertia air conditioner loads that lack compressor undervoltage protection. FIDVR events can, and have, occurred following faults cleared in as few as three cycles! Both the frequency and impact of FIDVR events can be decreased, but the elimination of FIDVR events in the near term is unlikely. Planning studies have not been able to replicate FIDVR events very accurately due to an inaccurate modeling of loads. Uncorrected, this modeling deficiency has a two-fold detrimental effect. First, it can result in studies that do not adequately identify potential FIDVR events. Second, it can give false confidence in mitigation plans designed to prevent FIDVR events. Inductors- Inductors are considered to consume reactive power. This is the fundamental mechanism for controlling the power factor in electric power transmission; inductors are inserted in a circuit to partially cancel reactive power of the load. IVVC - Integrated Volt/VAR Control - IVVC equipment allows utilities to reduce system voltage without jeopardizing reliability. Inductive Load – Cause trouble for PF. Inductive loads such as transformers and motors (any type of wound coil) consume reactive power with current waveform lagging the voltage. Most loads are inductive, so we add capacitors to balance system. Capacitive loads - Such as capacitor banks or buried cable generate reactive power with current phase leading the voltage. Resistive Loads – (aka Linear Loads) Have very little effect on PF are 'resistive' such as heating coils and lighting (excluding lights that have ballast transformers). If a purely resistive load is connected to a power supply, current and voltage will change polarity in step, the power factor will be unity (1), and the electrical energy flows in a single direction across the network in each cycle. LTC - Load Tap Charging Transformer - A transformer tap is a connection point along a transformer winding that allows a certain number of turns to be selected. This means, a transformer with a variable turns ratio is produced, enabling voltage regulation of the output. The tap selection is made via a tap changer mechanism. For many power transformer applications, a supply interruption during a tap change is unacceptable, and the transformer is often fitted with a more expensive and complex LTC mechanism. On-load tap changers may be generally classified as either mechanical, electronically assisted, or fully electronic. Phase Angle - In the context of periodic phenomena, such as a sine wave found in electricity, phase angle is synonymous with phase. 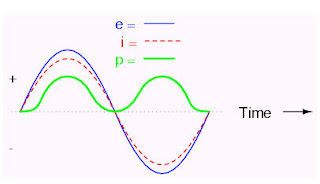 The phase of an oscillation or wave is the fraction of a complete cycle corresponding to an offset in the displacement from a specified reference point at time t = 0. Phase Shift - Current (amps) lags behind the voltage. When volts and amps no longer cycle together, it takes more of them to get the same effective power, that is, to do the same amount of work. Power – The rate of flow of energy past a given point. It is measured in watts. Electric power (watts) is transmitted by the simultaneous product of electric voltage and current in a wire. If large amounts of current are present when there is less voltage, the wires, transformers and other power equipment are heated, but less power is transmitted by the equipment. Since equipment is designed to remain cool up to a certain amount of current, vars waste some of the power unnecessarily as excess heat. 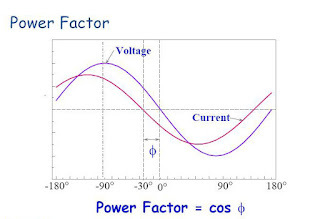 Where the waveforms are purely sinusoidal, the power factor is the cosine of the phase angle (φ) between the current and voltage sinusoid waveforms. Equipment data sheets and nameplates often will abbreviate power factor as "cosφ" for this reason. Power factor equals 1 when the voltage and current are in phase, and is zero when the current leads or lags the voltage by 90 degrees. Power factors are usually stated as "leading" or "lagging" to show the sign of the phase angle, where leading indicates a negative sign. For two systems transmitting the same amount of real power, the system with the lower power factor will have higher circulating currents due to energy that returns to the source from energy storage in the load. These higher currents in a practical system will produce higher losses and reduce overall transmission efficiency. A lower power factor circuit will have a higher apparent power and higher losses for the same amount of real power transfer. PFC - Power Factor Correction - Achieved by switching in or out banks of inductors or capacitors. For example the inductive effect of motor loads may be offset by locally connected capacitors. When reactive elements supply or absorb reactive power near the load, the apparent power is reduced. Power factor correction may be applied by an electrical power transmission utility to improve the stability and efficiency of the transmission network. Correction equipment may be installed by individual electrical customers to reduce the costs charged to them by their electricity supplier. A high power factor is generally desirable in a transmission system to reduce transmission losses and improve voltage regulation at the load. Power Conditioning - Modifying the power to improve its quality. While there is no official definition of a power conditioner, the term most often refers to a device that acts in one or more ways to deliver a voltage of the proper level and characteristics to enable load equipment to function properly. In some usages, power conditioner refers to a voltage regulator with at least one other function to improve power quality. Power Quality - The set of limits of electrical properties that allows electrical systems to function in their intended manner without significant loss of performance or life. It is the quality of the voltage—rather than power or electric current—that is actually described by the term. Power is simply the flow of energy and the current demanded by a load is largely uncontrollable. Rectifier - An electrical device that converts alternating current (AC) to direct current (DC), a process known as rectification. Rectifiers have many uses including as components of power supplies and as detectors of radio signals. Rectifiers create non-linear loads which distort the current drawn from the system. In such cases, active power factor correction is used to counteract the distortion and raise power factor. Reactive Power - The portion of power flow which returns to the source in each cycle. Reactive power flows backwards and forwards in an alternating current. Reactive power, measured in volt-amperes reactive (VAR), is the energy supplied to create or be stored in electric or magnetic fields in and around electrical equipment. Reactive power is particularly important for equipment that relies on magnetic fields for the production of induced electric currents (e.g., motors, transformers, pumps and air conditioning). It also must supply the reactive losses on transmission facilities. Reactive power can be transmitted only over relatively short distances, and thus must be supplied as needed from nearby generators. 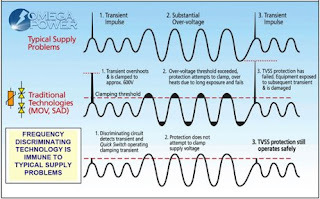 If reactive power cannot be supplied promptly and in sufficient quantity, voltages decay and, in extreme cases, a “voltage collapse” may result. The power grid needs enough reactive power to maintain reliable service. Reactive power is provided by generators, synchronous condensers or electrostatic equipment such as capacitors and directly influences electric system voltage. Examples of reactive loads include capacitors and inductors. If the load is purely reactive, then the voltage and current are 90 degrees out of phase and there is no net power flow. A practical load will have resistive, inductive, and capacitive parts, and so both real and reactive power will flow to the load. Real Power - (aka active power) The portion of power flow that, averaged over a complete cycle of the AC waveform, results in net transfer of energy in one direction. Real Power flows one way, from generator to load. It is the rate at which work is performed or that energy is transferred and is usually expressed in kilowatts (kW) or megawatts (MW). RMS – Root Mean Square - A statistical measure of the magnitude of a varying quantity. Engineers often need to know the power, P, dissipated by an electrical resistance, R.
Shunt - A device allowing electrical current to pass around a point in a circuit. Synchronous Condenser (aka Synchronous Compensator or Dynamic Power Factor Correction System) - A synchronous motor that is not attached to any driven equipment. Its field is controlled by a voltage regulator to either generate or absorb reactive power as needed to support a system's voltage or to maintain the system power factor at a specified level. The condenser’s installation and operation are identical to large electric motors. Increasing the device's field excitation results in its furnishing magnetizing power (kilovars) to the system. Its principal advantage is the ease with which the amount of correction can be adjusted; it behaves like an electrically variable capacitor. Unlike capacitors, the amount of reactive power supplied is proportional to voltage, not the square of voltage; this improves voltage stability on large networks. Synchronous condensers are often used in connection with high voltage direct current transmission projects or in large industrial plants such as steel mills. Var - Volt-Ampere Reactive power - A unit used to measure reactive power in an AC electric power system. 1 var = 1 V•A. Vars measure unsynchronized "leading" or "lagging" currents. These currents are usually caused by the side effects of powering equipment that behaves like coils (e.g. motors) or capacitors (e.g. arc welders). VVO - Voltage and VAR Optimization - Improving on the traditional approach using uncoordinated local controls, VVO uses real-time information and online system modeling to provide optimized and coordinated control for unbalanced distribution networks with discrete controls. According to Navigant Research, global annual Volt/VAR control and optimization revenue is expected to grow from $415.0 million in 2017 to $768.7 million in 2026. Voltage/VAR controls are a basic requirement for all electric distribution feeders to maintain acceptable voltage at all points along the feeder and to maintain a high power factor. Recent efforts by distribution utilities to improve efficiency, reduce demand, and achieve better asset utilization, have indicated the importance of voltage/VAR control and optimization. Utilities continue to face system losses from reactive load, such as washing machines, air conditioners. By optimizing voltage/VAR control great efficiencies can be realized. EPRI estimates 55% of the 566,000 distribution feeders will include voltage/VAR control by 2030, at an average cost of $258,000/feeder. Advances in automation and communications have laid the foundation to make centralized, coordinated voltage control possible and in fact applications to take advantage of it have been in the works for years. The problem lies in the fact that the computing requirements for such applications to generate useful solutions in near real time are staggering. However, new methodologies and today’s faster computers have converged to make volt/VAr optimization viable. VVO is an advanced application that runs periodically or in response to operator demand at the utility control center or in substation automation systems. Combined with two-way communication infrastructure and remote control capability for capacitor banks and voltage regulating transformers, VVO optimizes the energy delivery efficiency on distribution systems using real-time information. The real breakthrough is in the speed and quality of the computation. VVO uses advanced algorithms to identify the optimal operation strategy from millions, or even billions of possibilities. Arriving at that result fast enough to apply it in practice, in a day-to-day utility working environment, is a tall order. The result is improved efficiency that reduces the amount of power that must be generated and with it the emissions of CO2 and other pollutants associated with power generation. 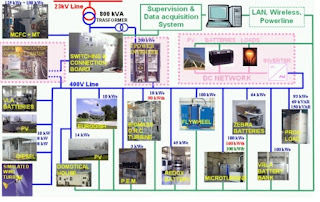 VVO also allows utilities to control costs better by getting the most out of their networks.A smart grid is needed at the distribution level to manage voltage levels, reactive power, potential reverse power flows, and power conditioning, all critical to running grid-connected DG systems, particularly with high penetrations of solar and wind power and PHEVs. Advanced voltage regulation, fault-detection, and system-protection practices need to be rethought as an increasing number of DG resources become available. This may require new equipment to identify and isolate DG resources in the event of a fault occurrence. During the daily operation, power systems may experience both over-voltage and under-voltage violations that can be overcome by voltage/Var control. Through controlling the production, adsorption, and flow of reactive power at all levels in the system, voltage/Var control can maintain the voltage profile within acceptable limit and reduce the transmission losses. Control of automated capacitor banks on distribution circuits and in substations can be greatly improved with better real-time information provided through the Smart Grid. The primary operating lever that utilities can use to affect the flow of reactive power is voltage control, which is accomplished through the use of various devices that inject, absorb, or force the flow of reactive power in the grid. These devices include: synchronous generators, synchronous condensers, shunt capacitors, shunt reactors, static VAR compensators (SVC), and STATCOM (Static Compensators). A Smart Grid will facilitate the application and monitoring of such devices. Similarly, a Smart Grid will enable opportunities to reduce distribution line losses through adaptive voltage control at substations and line drop compensation on voltage regulators and load tap changers (LTCs) to levelize feeder voltages based on load. ANSI standard C84.1, specifies a preferred tolerance of +/- 5% for 120V nominal service voltage to the customer meter, or a range of 114 – 126 V. Utilities tend to keep the average voltage above 120V to provide a safety margin during peak load periods. However, maintaining voltage on the upper end of the ANSI C84.1 band at all times, which most utilities do, wastes energy. A Smart Grid will allow utilities to place sensors at the ends of feeders to monitor and maintain voltage at 114 V, which minimizes energy losses without compromising the quality of delivered electrical service. Currently, the two primary modes of Volt-VAR optimization (VVO) under consideration are energy efficiency (EE) and demand response (DR). The energy efficiency mode would call for the system to be operated year-round at a near-unity power factor with the voltage as near as possible to the lowest ANSI allowable voltage. As determined in the EPRI’s Green Circuits project and other documented research, end-use equipment typically operates most efficiently at the lower end of the usual operating voltage band. Operation of the distribution system at the lowest ANSI voltage would increase the risk of power quality and reliability issues for customers, such as voltage sags and more sustained outages. Based on findings by Alabama Power in the Green Circuits project, system line and transformer losses only accounted for a percentage, typically less than 5 percent, of the overall energy reduction when VVO was implemented. On the other hand, the utility could choose to develop a DR program to utilize the VVO equipment during peak load periods. This mode of operation would control distribution devices in a manner that would maximize the demand reduction of the system. This type of operation might also result in a leading power factor at the substation; however, the excess VAR flow back to the transmission and generation systems should aid in the overall efficiency of the T&D system as a whole. This approach, as with the EE mode, would allow the utility to avoid building additional generation units, to defer capital improvement projects, and/or reduce demand charges from the generation supplier. However, the DR mode of operation would limit any loss of revenue and the potential for power quality issues since it would be used relatively few hours each year. A Smart Grid will also facilitate more intelligent controls on capacitors, optimizing their usage to reduce system losses further. 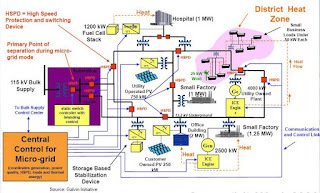 A Smart Grid will also enable automatic reconfiguration to minimize losses during the day, which requires distribution state estimations, more sensors, and real time control. Reduce Distribution Losses - Up to a 30% reduction in distribution losses is possible from optimal power factor performance and system balancing. Grid efficiency comes down largely to “line losses,” the amount of power leaving a generation plant that is lost on the way to our homes and businesses. Losses in the transmission and distribution system of 6 to 8 percent are typical even in the world’s most advanced countries, and they can run even higher. In 2006, a total of 1,638 billion kWh of energy was lost on the US power grid, with 655 billion kWh lost in the distribution system alone. To put this in perspective, consider that a 10 percent improvement in grid efficiency at the distribution level alone would have produced $5.7 billion in savings based on the 2006 national average price of electricity. It would also have saved over 42 million tons of CO2 emissions. ERPI's Green Circuits found that Electric power transmission and distribution (T&D) systems typically have aggregate annual energy losses of 7–10%. The percentage losses across all U.S. T&D equate to approximately 300 million MWh based on a U.S. annual generation total of 4,157 million MWh according to the Energy Information Administration. Because these losses are inherent in the process, they cannot be reduced to zero but might be reduced significantly with present technology. Approximately two-thirds of these losses are incurred at the distribution voltage levels. Improved Equipment Lifespan - Advanced, controllable dynamic Volt/VAR control architecture (DVCA) technologies and various Volt/VAR devices and control solutions can serve as oil in the machinery. They can keep transformers, generators, transmission lines, and distribution systems from overheating, reducing the risk of being retired or upgraded before the end of their intended lifespan. Reduced Required Voltage - Reduce energy and carbon by precise dynamic voltage control. Reduce load while respecting given voltage tolerance (normal and emergency)While the impact of voltage reduction on energy consumption will vary from circuit to circuit based on resistive or reactive nature of the load, many studies have shown a 1% drop in voltage results in a close 0.8% drop in energy demand. 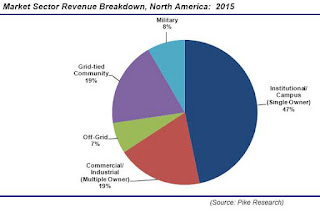 On this basis, EPRI quantifies the savings range for a Smart Grid in reducing losses through voltage regulation as 3.5 to 28.0 billion kWh per year in 2030. Minimize kWh consumption at voltages beyond given voltage quality limit; ensure standard voltages at customer terminals. Reduced Reactive Power - Reactive power can be reduced by adding devices to compensate for poor power factor. If we know how much reactive power is needed, we can furnish systems to supply the reactive power and only take real power from the power company. This reduces the power company’s losses and reduces the power bill. Transmission Capacity – Extra VAR’s to supply reactive power fill up transmission lines. Extra wire to carry the reactive current. Harmonics – Typically causes power capacitor ratings to be exceeded. The effect is overheating and increased stress which results in premature failure. Communications - The ability to move large amounts of data from disparate points on the grid is the key to enabling the applications that will in turn facilitate the widespread adoption of distributed generation and maintain (or even improve) the level of service customers expect. 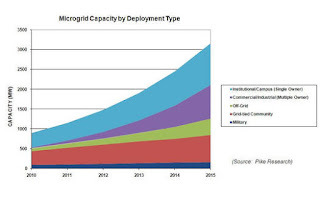 Emerging Markets - In areas with growing penetration of distributed energy resources (DER), Volt/VAR control (VVC) is emerging as an ancillary service to be provided by microgrids, power factor correction (PFC) systems, distributed PV, and electric vehicle (EV) chargers. Advanced Control Systems (ACS Power) - Norcross, GA - In March, 2014 Falfurrias Capital Partners, a Charlotte, North Carolina-based private equity firm, acquired Norcross, Georgia-based Efacec ACS, Inc. from the Efacec Group for undisclosed terms. The company name changed to Advanced Control Systems, Inc. (ACS), and operates as an independent portfolio company of the North American T&D Group (NATDG). Beckwith Electric - Largo, FL - Offers the smartest next generation control technology for LTC Transformers, Voltage Regulators, and Capacitor Banks for Smart Grid applications including Volt/VAr Optimization (VVO) and Conservation Voltage Reduction (CVR). Field proven with thousands of installed units, our controls lead the charge in advanced distribution grid solution applications. Eaton Cooper Power Systems - Waukesha, Wisconsin - Engineers and manufactures medium- and high-voltage electrical equipment, components, and systems that deliver reliable electric power to homes, industries, businesses, and institutions worldwide. In May, 2012, Eaton Corp., the power and control systems giant, announced that it would acquire Cooper Industries, catapulting the 90-year-old Eaton into a new class of smart grid competition. DC Systems, Redwood City, CA - A leading developer of Smart Grid software for utilities and large energy users. Founded in 1990, the company has pioneered solutions that provide powerful architectural advantages by combining distributed intelligence SCADA computing with centralized data management. Customers worldwide use the DC Systems RTscada™ family of products to put intelligence where it is needed—in hundreds of locations such as substations, control centers, and power generation sites—while centralizing configuration, administration and monitoring at the enterprise level. GE Grid Solutions- (NYSE: GE)- Atlanta, GA A GE and Alstom join venture is serving customers globally and equips 90% of power utilities worldwide to bring power reliably and efficiently from the point of generation to end power consumers. The joint venture. serving customers globally with over 20,000 employees in approximately 80 countries. Grid Solutions helps enable utilities and industry to effectively manage electricity from the point of generation to the point of consumption, helping to maximize the reliability, efficiency and resiliency of the grid. Gridco Systems - Woburn, MA - A leader in agile grid infrastructure solutions, enabling utilities to more effectively integrate renewable and distributed generation, increase energy efficiency, manage peak capacity, and improve system reliability. 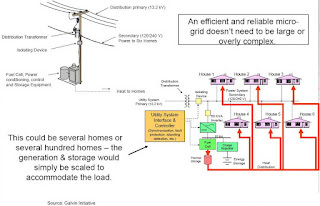 The Gridco Systems emPower™ Solution combines modular power electronics, advanced controls, distributed networking, and power system analytics to deliver the industry’s only end-to-end hardware and software platform purpose built to solve utilities’ current and emerging distribution challenges in a distributed, dynamic, and decoupled fashion. Open Systems International - Medina, MN - Provides open automation, and network management and optimization solutions worldwide. The company offers supervisory control and data acquisition systems, network management systems, generation management systems, transmission management systems, distribution management systems, substation automation solutions, and remote telemetry solutions. S&C Electric, Chicago, Their IntelliTEAM system of networked devices isolates and restores faults in a distribution grid. S&C has designed its own SpeedNet radios, capable of about 5 millisecond "hops" from device to device, to handle the task. Schneider Electric Rueil-Malmaison, France - A French multinational corporation that specializes in electricity distribution, automation management and produces installation components for energy management. SEL - Schweitzer Engineering Laboratories, Inc. Pullman, WA - Designs and manufactures solutions for protection, monitoring, control, automation, and metering of electric power systems. The company provides secure communications; transmission, distribution, and generator and motor protection; revenue and power quality metering; industrial power; integration and automation; and rugged computing products. It also offers precise timing, fiber-optic communications, testing, transformer, bus, breaker, and capacitor protection products, as well as SEL software solutions, SEL software downloads, and SEL accessories. SEL Distribution Automation Control System automates feeder restoration and reduces outage times. The system analyzes and detects fault conditions, isolates affected feeder sections, and restores power to unaffected sections. The system includes simple drag-and-drop IEC 61131 function block configuration software on an SEL information processor, with the ability to automate up to 100 devices per controller. Siemens AG - Germany - Distribution Automation improves significantly the reliability and availability of power distribution grids.The functionality ranges from remote monitoring and control to fully automated applications, like high speed FLISR (Fault Location, Isolation and Service Restoration), Volt / VAR Control and others. Silver Spring Networks Redwood City, CA - Launched a new application in May 2011 that lets utilities monitor power quality across the grid and gain insights into potential problems before they can affect service. UtilityIQ Power Monitor uses the distributed intelligence in Silver Spring networking devices to help utility companies keep an eye on key power quality metrics throughout their service territory. Silver Spring clients can use smart grid devices already deployed, combined with distributed polling, to improve vital grid efficiency applications such as Conservation Voltage Reduction (CVR) and Volt/VAR Optimisation (VVO). The new application provides Silver Spring clients with proactive notification of meter locations where voltage levels exceed or fall below expected levels. UtilityIQ Power Monitor works with Silver Spring’s UtilOS firmware to expand the capabilities of meters and other devices distributed throughout the grid, without requiring modification to any hardware or a field visit. Survalent Technology - Brampton, ON - Designs and develops Survalent ONE - ADMS, an advanced distribution management system. The company's solutions include Survalent SCADA, Survalent Outage Management System (OMS), and Survalent Distribution Management System (DMS). It also offers database and graphics, and GIS data importing and modeling services. The company serves electric, renewable, wastewater, and water utilities, as well as the transit industry. It partners with Aclara Technologies LLC, Clevest Solutions Inc., G&W Electric, GridSense Inc., and Oracle Utilities. The company was formerly known as Dacscan Ltd.
Utilidata - Providence, RI - Their patented digital platform captures real-time intelligence from the electric distribution grid and powers our signature Volt/VAR Optimization application, AdaptiVolt™, the market leader in voltage optimization. AdaptiVolt enables utility companies to achieve best-in-class energy efficiency and demand reduction.